In a recent article in The Guardian, Marina Abramovic announced an upcoming collaboration she has with pianist Igor Levit that involves a performance of J.S. Bach’s Goldberg Variations. The piece itself will not be changed, but the experience will: when the audience enters the hall they will be given lockers to put all of their electronics in. Then they will grab noise-cancelling headphones and sit in silence for 30 minutes before the concert actually starts. She then eleaborated about how we don’t have “pure” listening experiences anymore, saying that “’we don’t have the capacity to listen to classical music in a form that was done before.’”. My initial thought was that it sounds silly, especially considering how raucuous art music concerts were 150 years ago as opposed to now. However, maybe she has a point. o Chairs may distract the listeners, and we don’t want them to be focusing on anything other than the music! We are too often distracted with our surroundings that we don’t truly understand the meaning of the wonderful notes. No more chairs! o Sure, concert halls are already pretty tight on eating, drinking, or smoking inside, but we have to take it one step further. To avoid tarnishing the aura of pure classical music, we should extend the ban to a 1 mile radius around the concert hall. o Pure listening requires a pure soul, which is why if you want to buy tickets at the door, you better bring your first-born child! If you don’t have that sort of monetary leverage the evening of the concert, don’t worry, committal contracts will be on hand as well. o Although deemed as a controversial tactic, proctologists have a point. In order to make sure nothing is interfering with the audience’s enjoyment of the music, their bodies must be completely empty before they enter the concert hall. o Don’t you find it ridiculous when people make noise during the movement? Especially breathing. Each variation is short enough, they can hold it in. o It’s slightly ridiculous to have children making noises all of the time. If they understood the music and the passion behind it, they would be more respectful. This is why all children entering the concert hall must have leashes and muzzles, to avoid the listening experience being interrupted by disruptive behavior. 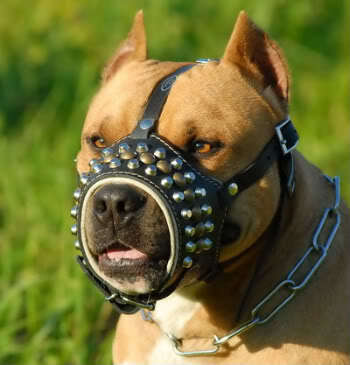 If you do not have your own leash or muzzle, they will be provided at the door. • No music at all! o Maybe we shouldn’t even have music being played…I think to truly enjoy a pure listening experience, the audience needs silence. Well, maybe they don’t want it, but they need it. No music! Vorheriger Beitrag Die Gründung der Erik-Satie-Gesellschaft.